The Israeli military announced that it was carrying out strikes targeting the Islamic Republic of Iran’s Quds forces in Syria on Jan. 21. Witnesses in Damascus said loud explosions rang out in the sky for nearly an hour in the early hours of Jan. 21, Reuters reported. The Quds Force, also known as the Jerusalem Force or Al Qods, is an elite unit of Iran’s Islamic Revolutionary Guards under the regime of Ayatollah Khomeini that supports terrorist organizations and intelligence activities, as well as sensitive overseas operations beyond Iran’s borders to boost the regime’s global influence such as Iran’s support for the Ba’ath regime in the Syrian civil war. Earlier on Jan. 20, the IDF said that its Iron Dome Aerial Defense System had intercepted a projectile from Syria that had been fired toward the northern Golan Heights on the border between Israel and Syria. 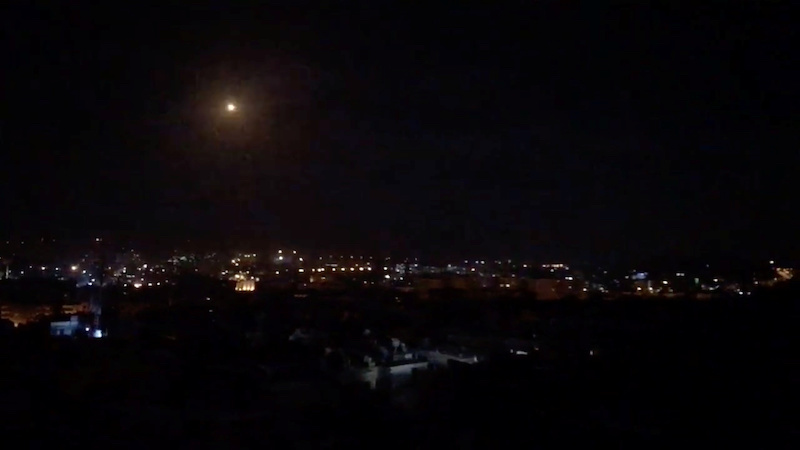 This came after Israel supposedly conducted a rare daytime targetted missile attack into southern Syria, close to the capital of Damascus, which triggered Syria’s air defenses, Syria state media, the Syrian Arab News Agency (SANA) reported. SANA reported that Syria’s air defenses then shot down several “hostile targets,” without providing further details. “A military source said that our air defenses had successfully engaged an Israeli aerial attack targeting the southern region and prevented it from achieving any of its objectives,” SANA reported on Jan. 20. Russia had also reported that on Jan. 20, Israel had launched an attack targeting an airport in Damascus. In a Twitter post, Russia’s Ministry of Defense said that the Syrian military had taken down seven Israeli rockets near Damascus airport. Russia, along with Iran, backs Syrian President Bashar al-Assad’s Arab socialist Ba’ath party in the country’s civil war. Israel rarely publically confirms its air strikes on Syrian territories. Iran Smuggling Weapons to Hezbollah? Israel has expressed concerns over the Iranian regime’s ongoing presence in Syria, as well as the regime’s smuggling of weapons from its capital in Tehran through Syria to the Tehran-backed Hezbollah terrorist group in Lebanon. Last week on Jan. 13, Israeli Prime Minister Netanyahu confirmed in a cabinet meeting that the Israel Air Force had carried out airstrikes in Syria, also targeting the Damascus International Airport, on Jan. 11, the Jerusalem Post reported. Netanyahu said that Israel has carried out hundreds of attacks against Iranian and Hezbollah targets in the country. 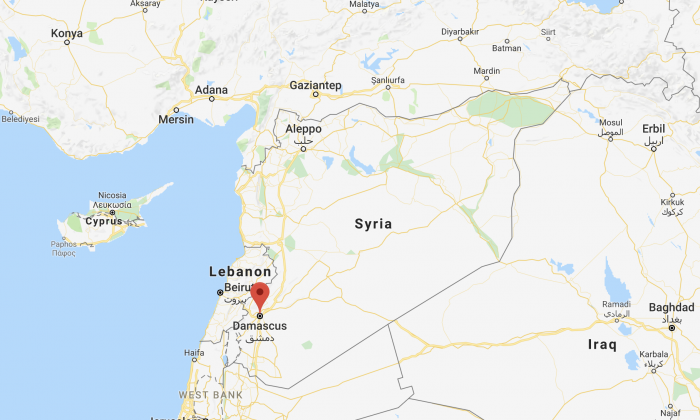 “The air force attacked storehouses of Iran with Iranian weapons at the Damascus international airport,” he said, according to the Israel National News. “We are more determined than ever to act against Iran in Syria, just as we promised. Iranian Foreign Ministry Spokesman Bahram Qasemi denied on Jan. 14 that Iran had any military bases or military presence in Syria, according to The Jerusalem Post. He also denied claims made by Netanyahu and former IDF chief of staff Lt.-Gen. (res.) Gadi Eisenkot that Israel has taken out hundreds of Iranian targets in Syria over the past two years. Allegations arose in 2018 that Iran has been smuggling weapons to Syria and Hezbollah via different airlines after reports emerged that the Israel Air Force (IAF) allegedly carried out an attack on targets at the Damascus Airport in September 2018. “The Iranians are trying to come up with new ways and routes to smuggle weapons from Iran to its allies in the Middle East, testing and defying the West’s abilities to track them down,” an intelligence source said, according to a Fox News report. In a speech at the U.N. General Assembly on Sep. 27, 2018, Netanyahu said that Israel will not remain passive, citing Hezbollah’s attempts to build an underground base near an airport in Beirut to convert non-precision missiles into precision missiles to hit Israeli cities. “I have a message for Hezbollah today: Israel also knows what you’re doing. Israel knows where you are doing it and Israel will not let you get away with it,” he said.